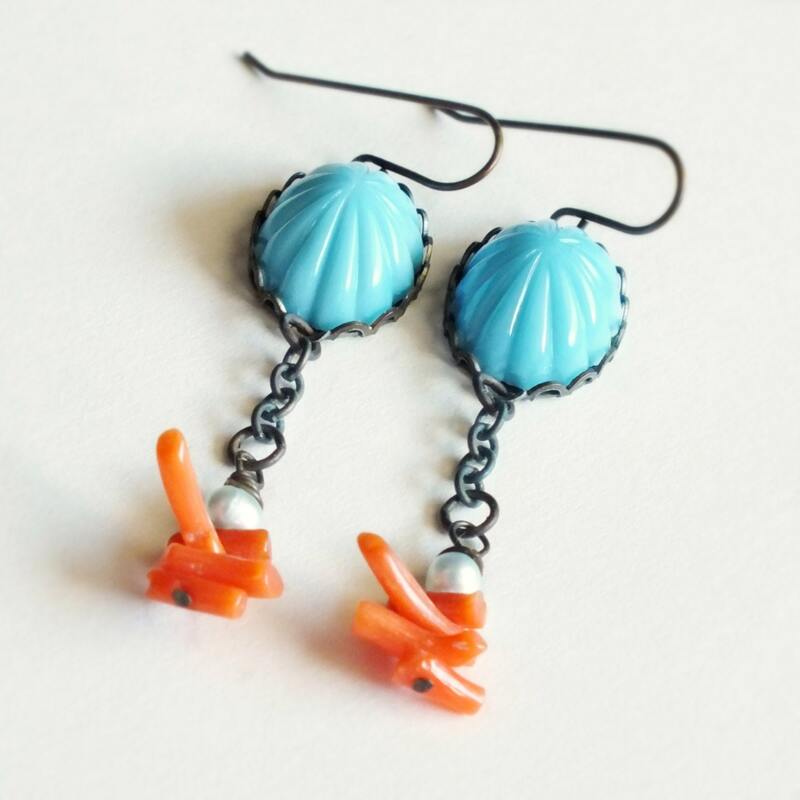 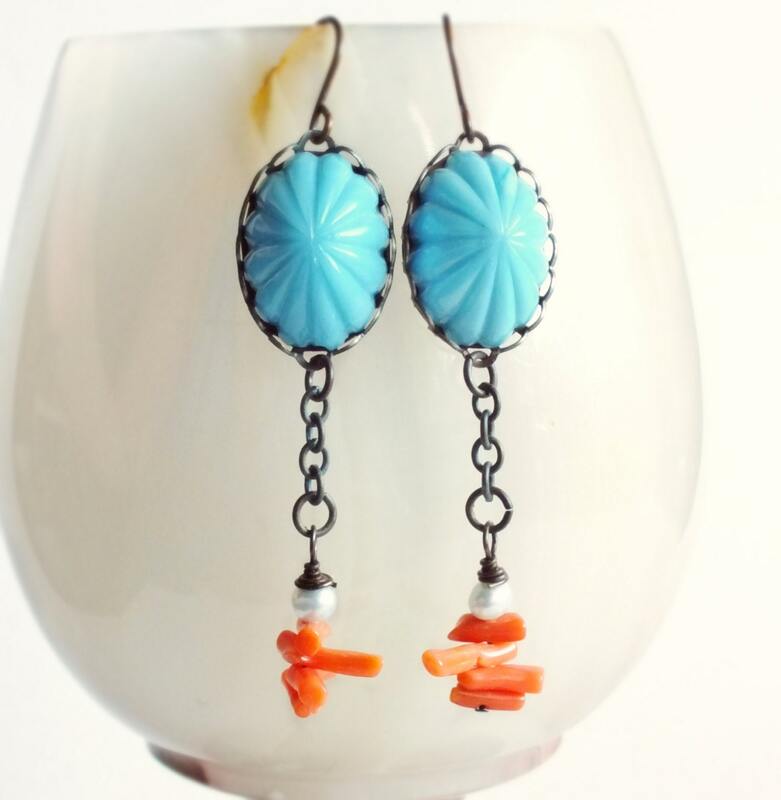 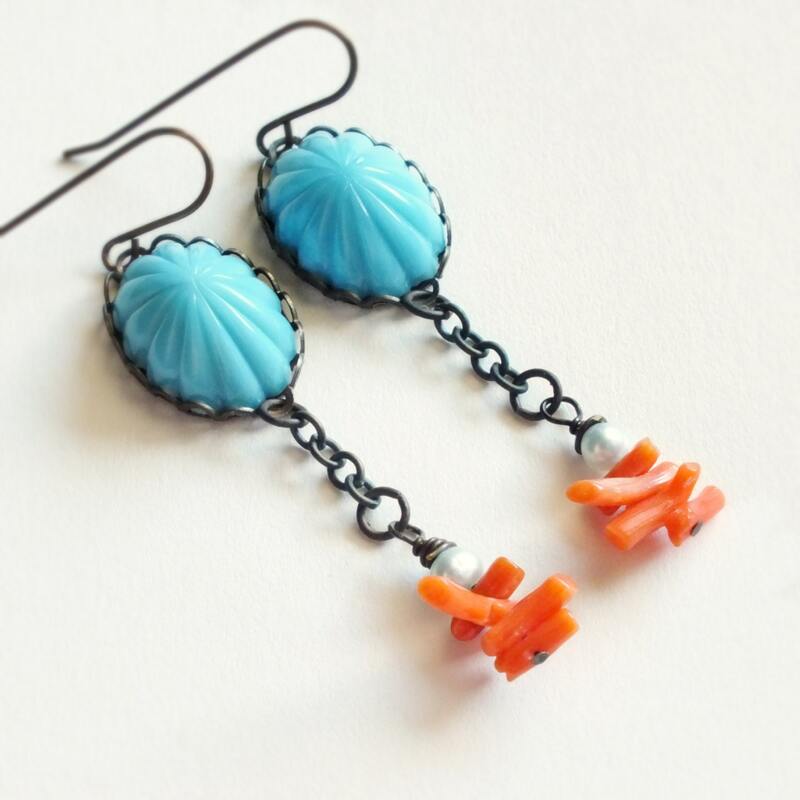 Handmade turquoise dangle earrings with vintage glass cabochons and red branch coral. 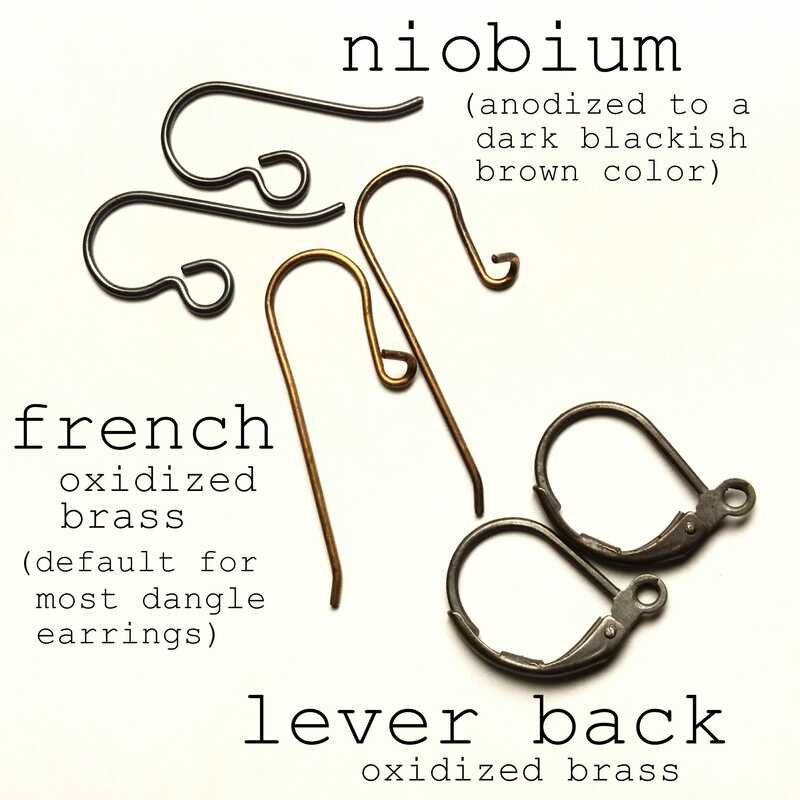 Antiqued brass settings and oxidized brass ear wires made in the USA. 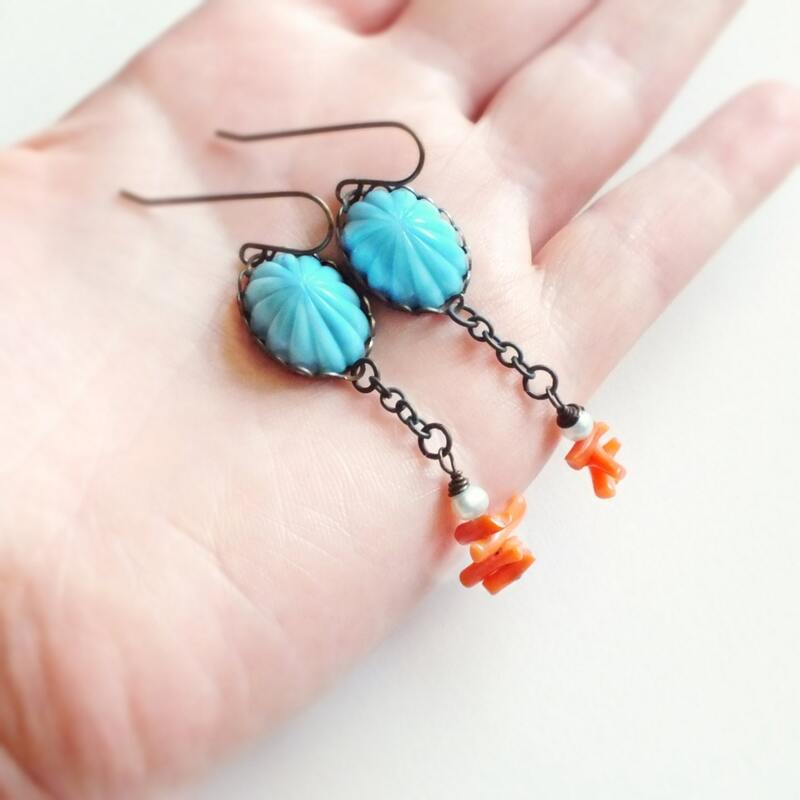 Made with beautiful genuine vintage high domed turquoise blue cabochons with a ribbed star-burst pattern. 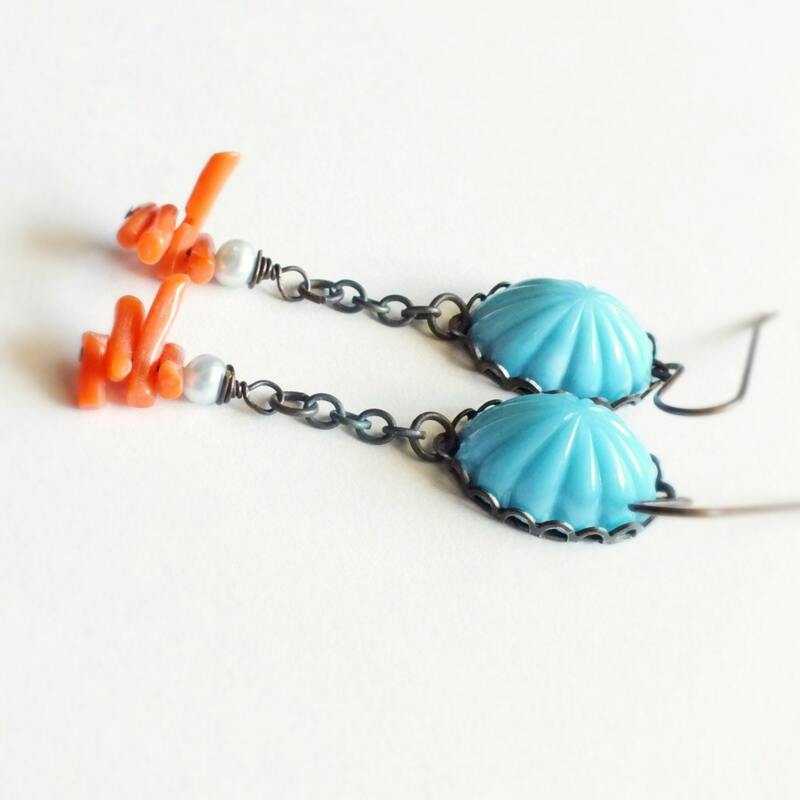 I adorned them with genuine vintage red branch coral and tiny pale blue faux pearl dangles.